From bowling balls to the latest shoes, our Pro Shop has everything you need to keep you at the top of your game while showing your own personal style. Get your Bowling Ball drilled with the latest techniques from our Kegel Certified Technician. 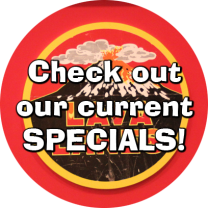 Check back frequently for special deals!